Buin is a small city south of Santiago, Chile. 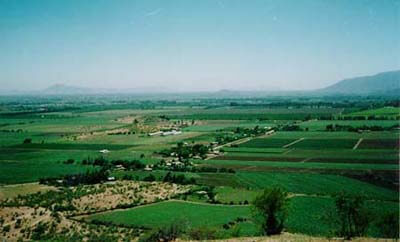 Buin is surrounded by agriculture consisting mostly of vineyards and orchards. The majority of people that live in this area work in this endeavor. I spent seven months of my mission in Buin and the neighboring town of Alto Jahuel. 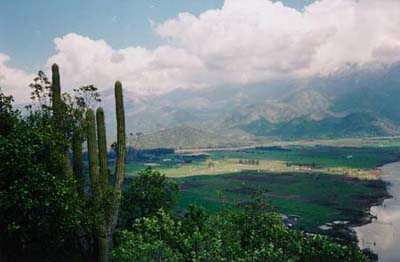 The area consists of stunning vistas of beautiful vineyards overlooked by the towering Andes mountains. The people of this area were very friendly and caring. Some of my fondest memories of my mission occurred in Buin and Alto Jahuel. This lake in Chada is at the southern tip of the metropolitan region. We are looking south at the mountains that divide this region from the sixth region. This is taken in Chada looking north towards Santiago–thus the smog on the horizon. 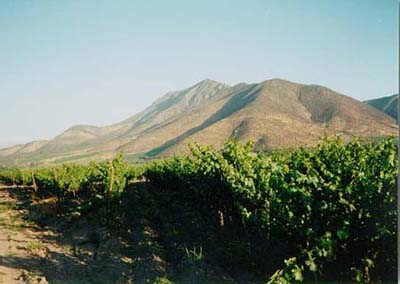 The Maipo valley is part of Chile’s fertile central valley, known for the production of many types of fruits. 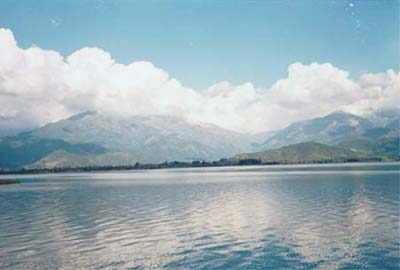 This lake called La Laguna Aculeo is at the southern end of the metropolitan region. This view is looking South across the lake. 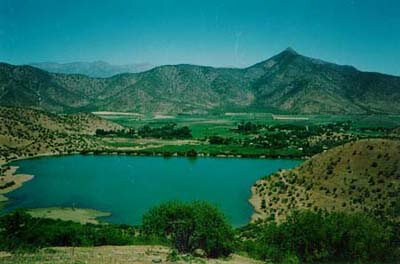 The Laguna Aculeo is a popular weekend and summer vacation spot. This lake called La Laguna Aculeo is at the southern end of the metropolitan region. This view is looking at the southeast corner of the lake. Nestled in a beautiful valley, the Laguna Aculeo offers water recreation sports, hiking, and camping. There are lots of vineyards around Buin. This is part of the Viña Santa Rita located in Alto Jahuel. 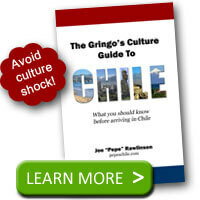 Los Carabineros are the national police force in Chile. 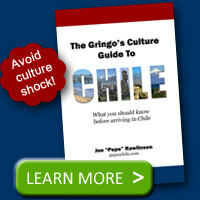 They are a branch of the Chilean Ministry of Defense and are stationed throughout the country. Unlike in the United States, there are no local police. Only local stations of the nationwide carabinero police force. 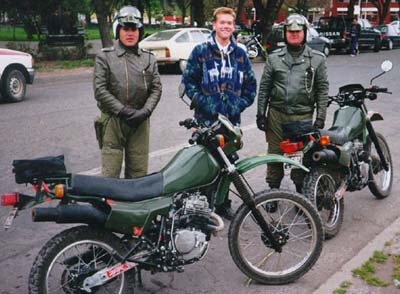 Motorcycle carabineros in Buin. After I took this photo, whenever they saw us on our bicycles they said hi.